Hello everyone, today I would be sharing this expert guide on how you can unlock any Nokia device that is locked knowingly or unknowingly, whether you know the previous code for the device or not. I decided to cook up this basic guide due to a lot of complaints and messages am getting from those using Nokia devices, both small, big, new and old Nokia phones. Actually, when I was receiving messages concerning this security unlocking issues, I was simply giving those concerned only one guide to unlock any of their Nokia device locked, and letter I discovered more three basic, stress free, convenient and creative ways, making it 4 ways to unlock such Nokia device with ease. So that's what we would be looking on. Read on with carefulness in other to achieve your task for unlocking any Nokia phone. Check this out; How To Factory Reset Any iphone device without knowing the password. 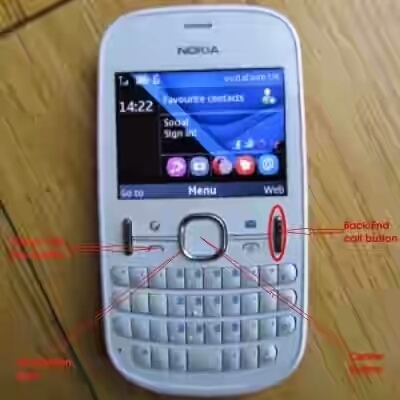 This very method am sharing with you guys has proven to have worked perfectly in unlocking both old and new Nokia phones: such as, Symbian, Nokia Java S40, s60, and even the new Nokia Asha series, and most of the newly launched smart Nokia phones. Read Also: How To Lock And Unlock Your Laptop/PC Using A USB. Invading into someone's privacy without the person's consent or prior notice is highly prohibited and as well, is illega. So have it mind that this post is crafted out just for the purpose of education and nothing more. Having taken note of that, let's proceed to the deal of the day, just remain focused as I guide you through. How To Retrieve/Recover Deleted files Like PDF, Images, Games, Musics, Videos And Many More On Your Android Smartphone. How To Transfer Files Wirelessly Using Xender from PC To Your Mobile Phone. How To Unlock Any Nokia Phone Without An Unlock Code or Security Code. The first method is the easiest among all, it doesn't require cracking of the brain or any expertise whosever. The method works very well on old Nokia devices. Below are the steps to go about it. ==>Just Tap and hold Unlock (center button) Until you get to see "press * to unlock". ==>then Press * for the phone to unlock, and boom! the phone gets unlocked. Very simply isn't it? As you can see, this is almost same way of unlocking pattern for Nokia default Automatic keyguard locks without security code on it. But what made it different, is that you will hold the center button "still". Not just pressing it, but holding it. For this second method of unlocking your Nokia phone without the use of unlock code, it requires you getting your Nokia phone 15 digit imei in other to generate a 10 digit Master unlock code which can be use to unlock your phone at anytime you want. Below are the steps to achieve such purpose. ==> Dial this code *#06# on the phone while it is still unlocked, this is done for the purpose of retrieving the phone's 15 digit imei. You can also get the digit by opening the back case of the phone and copy or write the imei number some where for use. ==>Goto this site http://www.unlockitfree.com and when it opens, click on "Free Remote Instant Master Code". ==>Now, enter the 15 digit imei number you copied from the phone you wish to unlock and then click on Generate. ==>Next, the 10 digit master code will be generated, just copy it and keep it safe for unlocking that device you copied its imei number whenever it get locked. Unlocking Your Phone Without Online Code Generator / Master Code. We are progressing, for this Method three, it works perfectly well when unlocking the newer sets of Nokia s40 java phones like Nokia 2690, 2700, 3110c, 5130, 2626 and so on. As usual, when the device is free or not locked, you can always press the Center button then * to unlock it. But since the device is locked and needed to be unlocked, after pressing the Center button, followed by *, you will then be required to enter the unlock code or security code. Now, to bypass such and get your device unlocked without the code, just follow this below steps. ==>First, Turn On the Nokia device, and allow it to boot finish. ==>While the phone is on its Standby mode, dial this number 112 (Emergency number) and click the Green call/calling key to send. ==>Now, wait for like one (1) second and then hit the top right "End Call" key to terminate the call. At this point, you would notice that the phone forgot that it's locked for a second and would display Goto by the left side, Menu at the center and Music, Media, Calculator etc on the right depending on what's preset. ==>When you notice such funny move by the phone, just quickly Tap on Menu (center button). By doing that, the device will navigate you to the phone menu. ==>Now, Repeat the step above again but remember, this time, you are expected to tap the Navigation keys towards Phone settings in order to locate the security set up menu. ==>Just Under the settings, Goto Phone=> Automatic keyguard. And turn it Off. After doing that, the phone should now be free from lock. Bravo! Your device is now unlocked. When done with that, you can easily turn back Automatic Keyguard ON, then Use Menu followed by * to lock. Remember this is done in other not to leave traces if the phone is not yours. This method is the prof as I called it. Nokia left a loop hole while manufacturing some of its phones. So with this method, you can unlock the new Nokia Asha series devices, without using any code whatsoever, no master code is required, not even a software. Very simple and easy to implement while unlocking the series involved. Most of us may be wondering the need of using security code on Nokia Asha series, when one can easily open it in a twinkle of an eye. Even the current trend in the world of mobile (Android phones) that everyone is going for now, also can be unlocked when locked with Android security pattern, as one can unlock it with another means without knowing the previous security pattern. Have you been fascinated by that already? it is coming soon on this blog on how to unlock any Android phone locked with security pattern. But now, let's accomplish the task of unlocking Nokia phones with the last method. ==>Just Hit Unlock (the center button) followed by *. As if you want to unlock, but instead of the code. ==> Next, enter 911 as the code and then click the Green Call key/button to send. ==>Now, after sending the call key above, quickly Tap the top right End call key twice to unlock. 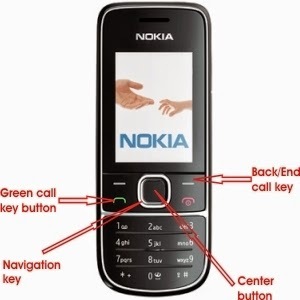 ==>That's all for the step, the phone should now be unlocked and will remain open unless you reboot the Nokia device. We have come to the end of the guide, all the steps above works perfectly well and are 100% effective and safe, when unlocking Most Nokia phones that is locked with security codes. As you can see, each step is simplified as it needs nothing like cracking or hacking of any sort while unlocking Nokia phones. Even PC as stated earlier is not required while implementing these steps. Feel free to tell us where you are encountering problem while executing this tutoral, and we would not hesitate to help you out. Let Us know if you finally unlock any Nokia device locked with security code of any sort by using the comment box below. And do well to share this post for others to benefit. Thanks.